Microsoft has announced they will no longer use Secure Hash Algorithm 1 (SHA-1) to authenticate Windows operating system updates due to security concerns associated with the algorithm. Microsoft customers with Windows 7 or Windows Server 2008 will be affected by this change and must install SHA-2 code-signing support for these devices by July 16, 2019. Without support for SHA-2, devices will no longer receive updates after July and will then be vulnerable to security threats. In the past, Microsoft updates were dual-signed using both SHA-1 and SHA-2. These algorithms verify the authenticity of updates from Microsoft and ensure they were not interfered with during delivery. Because of weaknesses in SHA-1, Microsoft will now sign security certificates with SHA-2 only. This affects Windows 7 SP1, Windows Server 2008 R2 SP1 and Windows Server 2008 SP2. 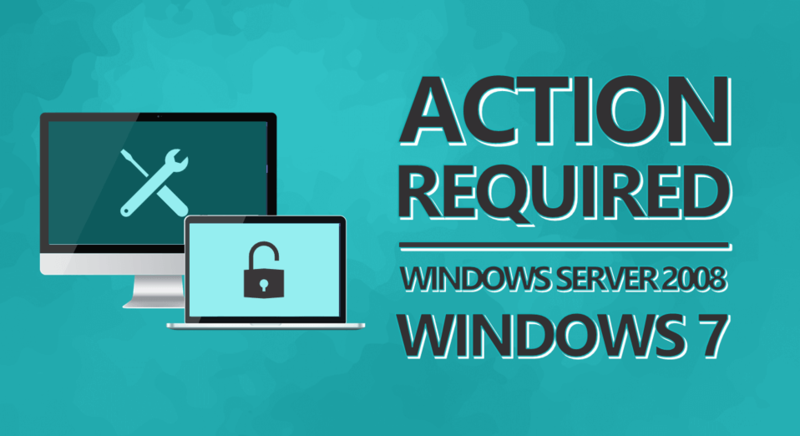 Windows 10 users will not be required to take any action. Microsoft will begin releasing updates for the affected systems on March 12th, 2019. See the most current version of this official chart here. Questions about the strength of the SHA-1 algorithm have circulated for a while. In 2017, Microsoft started blocking websites with SSL Certificates signed using SHA-1 in Edge and Internet Explorer. Weaknesses found in the algorithm as well as increased processor performance, and cloud computing have all contributed to making SHA-1 less secure. SHA-2 runs on the same algorithm as SHA-1 but is not affected by the same weaknesses. SHA-2 uses different input and output sizes that give it much stronger security. For more information about Secure Hash Algorithms, see this page. While these updates are important for ensuring secure systems in the short term, don’t forget that both Window 7 and Windows Server 2008 are scheduled to go end of support on January 14, 2020. This means updating to SHA-2 will only buy you one year of updates. Planning for end of support scenarios early on can save your business from disruptions caused by noncompliance and security threats posed by unsupported and out-of-date technologies. The good news is Microsoft offers multiple options for upgrading your systems that will allow you to maintain security whether you need to wait and leverage upcoming refresh plans or are ready to transform your infrastructure right away. PEI recommends SHA-2 code-signing updates provided by Microsoft are installed on all affected systems as quickly as your update procedure will allow to prevent unnecessary security risks. If you need assistance preparing for or installing these updates, our operations team can help. Contact us here or by phone at 303-786-7474.